Visit our tasting room off of the Silverado Trail to sample our hand-crafted wines and enjoy one of the best views in the Napa Valley. Take a tour of our nearly mile-long caves and end your afternoon with a picnic in our oak grove. Current releases, library wines and large format bottles are available for purchase, as well as distinctive gifts. Rutherford Hill’s Tasting Room is well-lit and inviting, staffed with friendly, engaging wine enthusiasts. The design of the room is “wine country chic”. Travertine flooring sets the luxurious tone amidst the golden hues of the wooden beams. Highlighting the welcoming design is a horseshoe-shaped tasting bar. With marble counter tops and custom-made cabinets, the tasting bar gracefully accommodates our guests. Natural light from oversized windows brings the Napa ambience in with the visitors as they sample the Rutherford Hill offerings, which include the legendary Merlot. We also pour non-distributed, small-lot wines only available at the winery. Music in Tasting Room: Upbeat and current. We play lively music to enhance your tasting experience. View from Tasting Room: Our elevation of 427 feet provides our visitors with an awesome view of the famous Napa Valley. Wine Education: We provide wine education in a fun, interactive manner. 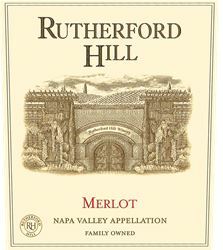 To join the wine club, visit www.rutherfordhill.com or call 707-963-1871. Luxurious Convenience: Our members receive the finest selections of Rutherford Hill wines delivered to their doorsteps. Wines offered through our club programs include bottlings made exclusively for club members and guests visiting the winery. Each shipment includes a member’s portfolio which contains recipes provided by our winery chef. These clearly written recipes are designed to pair with the wines you are receiving. You’ll also find in the portfolio tasting notes, wine reviews and special purchase offers. Members participating in our Vista Club receive four annual shipments that will contain three bottles of Rutherford Hill wines. These wines are shipped in February, April, June, and October. Wine selections express the wonderful variety of fine wines Rutherford Hill creates and will include red and white wines. Members may choose from three, six or twelve bottle shipments. We created the Collector’s Club specifically for red wine devotees. Collector’s Club members receive four annual shipments that will feature three bottles of Rutherford Hill red wines and occasionally wines from Terlato Family Vineyards. Shipments occur in February, April, June and October and will include our prestigious reserve wines, older vintage library wines and limited release wines. Members may choose from three, six or twelve bottle shipments. 10% discount on wine purchases. Rutherford Hill Winery is certified under the Napa Green Winery Program by the Napa County Department of Environmental Management (DEM) and the Association of Bay Area Government’s (ABAG) Green Business Program and completed all the regulatory components needed for environmental sustainability. These components included developing water and energy conservation methods, preventing pollution, and reducing solid waste. In addition to developing sustainable winery practices, this program is set to become the standard for the state of California. Rutherford Hill Winery is certified under the Napa Green Certified Land Program. Rutherford Hill Winery has created and implemented a customized farm plan with measured results that addressed all aspects of its property, vineyard land as well as non-farmed land, including practicing soil conservation, water conservation, stable drainage, riparian corridor enhancement, fisheries and wildlife habitat enhancement and long-term improvement and sustainability.